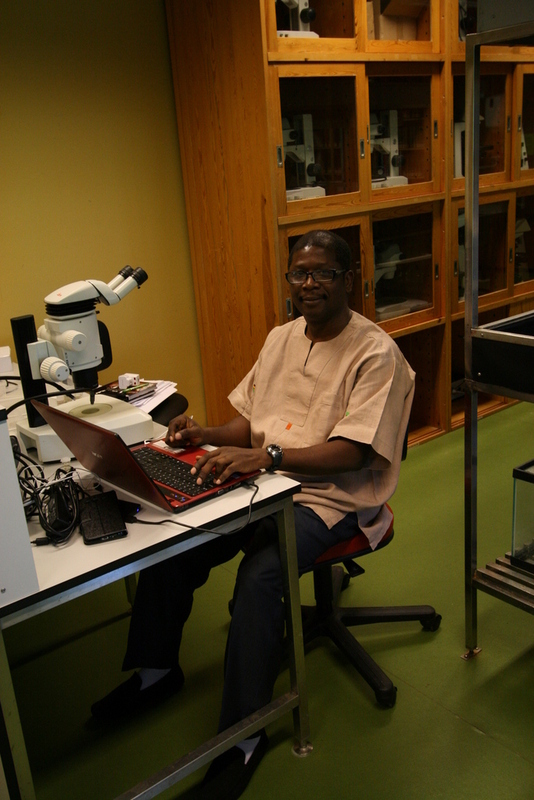 West Africa is often considered one of the least studied regions of the world concerning marine biodiversity. 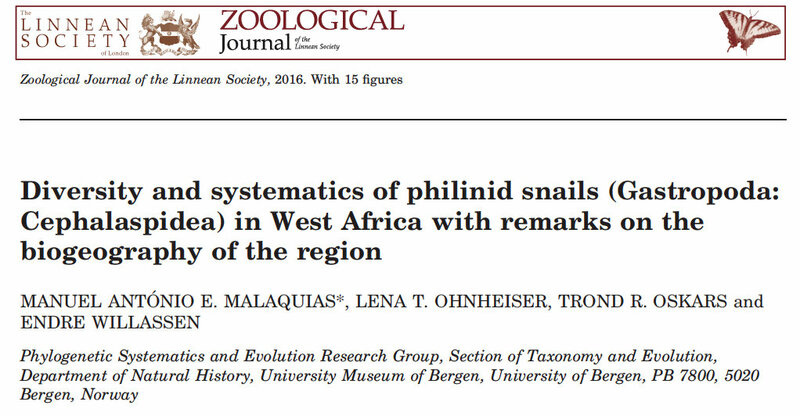 Knowledge about the philinid snails of the region has largely been based on shells, but those can be insufficient to discriminate species. 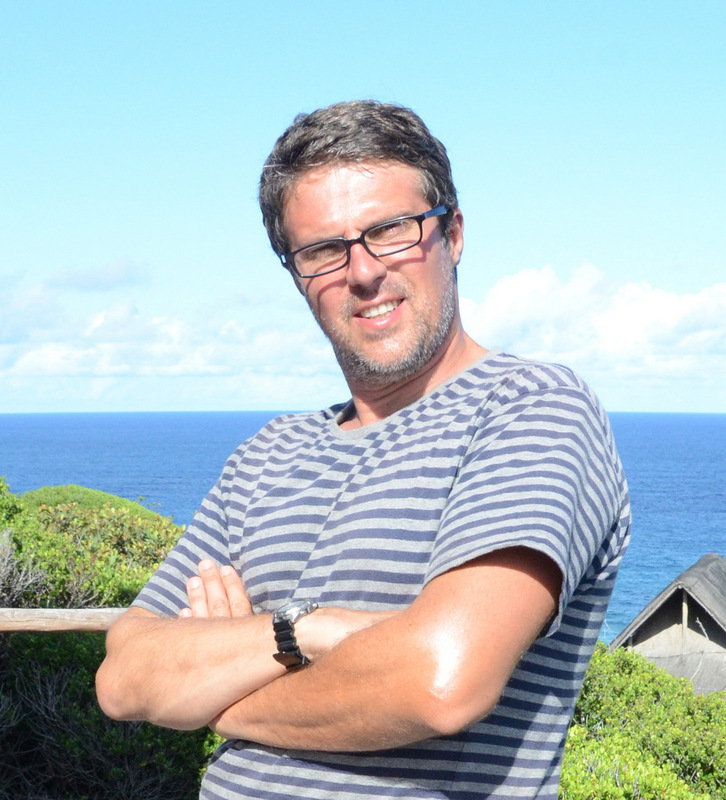 In this project, the diversity and systematics of the West African species of Philinidae sensu lato is revised based on a comprehensive literature review and the study of shells, anatomy and DNA sequence data of novel specimens obtained by the R/V Dr Fridtjof Nansen (2005–2012) between Morocco and Angola. 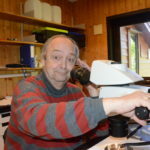 We use scanning electron microscopy together with a cytochrome c oxidase subunit I molecular phylogeny and molecular species delimitation methods (ABGD and SDP Geneious Plug In) to define species. 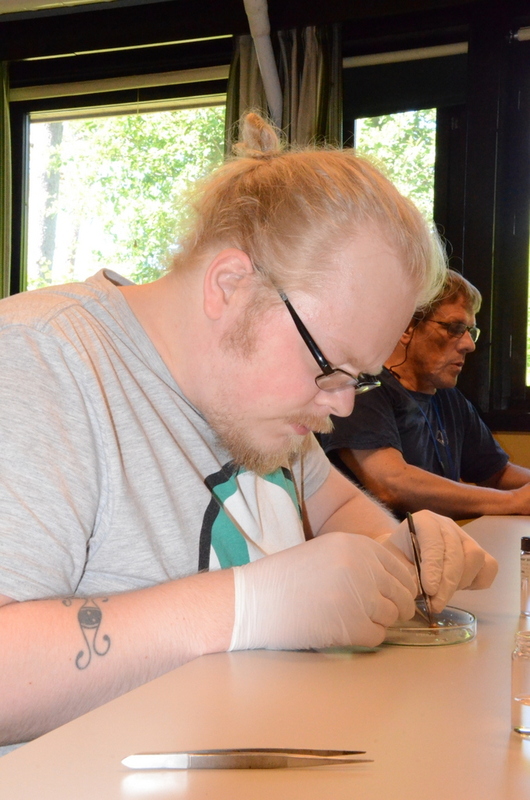 Twenty species (formally named) were found to occur in the region, including four new species describe along the project: Laona nanseni sp. nov., Philine cerebralis sp. nov., Philine schrammi sp. nov. and Spiniphiline caboverdensis sp. nov. A complex of four cryptic species under the name P. quadripartita (P. guineensis, P. quadripartita, Philine schrammi sp. nov., Philine sp.) was recognized. 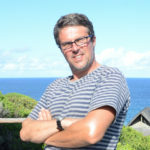 We observed a biogeographical break around Cape Verde and the Sahelian upwelling system coinciding with the West African Transition Province; eight species have their northern geographical limit or are restricted to this Province, while ten species have their southern limit in the area or just further north. Only one species seems to span across this biogeographical breaking point (P. scabra), but this might result from taxonomic misidentifications. Philine cerebralis sp. nov. (ZMBN 105802, H = 3.6 mm, holotype). A, dorsal view of complete animal. B, ventral view of complete animal. C, right lateral view of complete animal. D, dorsal view of shell (SEM). 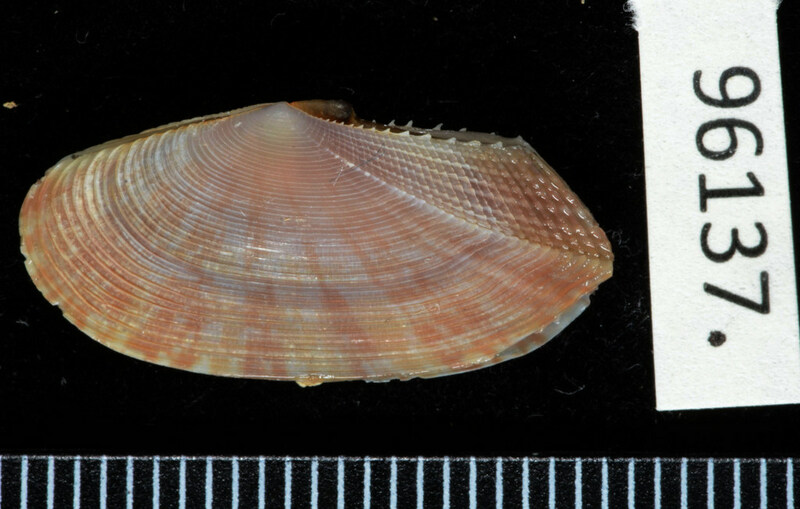 E, ventral view of shell (automontage image). F, detail of dorsal view of shell (SEM). 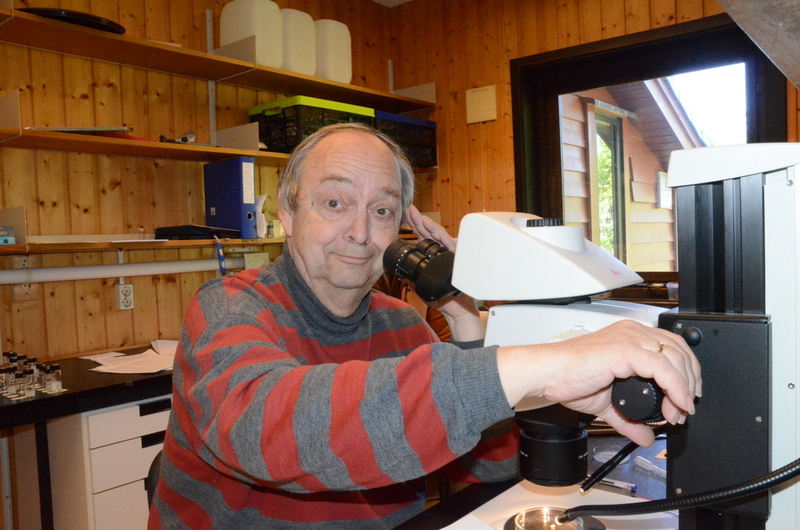 Rudo von Cosel has been working for more than 10 years on a comprehensive book about the bivalves from tropical western Africa. 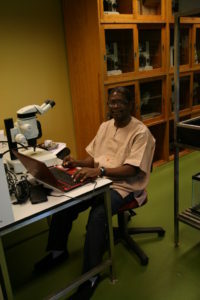 The MIWA project rendered about 800 lots of bivalve molluscs databased in the University Museum collections from approximately 125 species that have yield several new faunistic records and a large number of new geographical records contributing to better understand the diversity and distribution of bivalve species along the coast of West Africa. 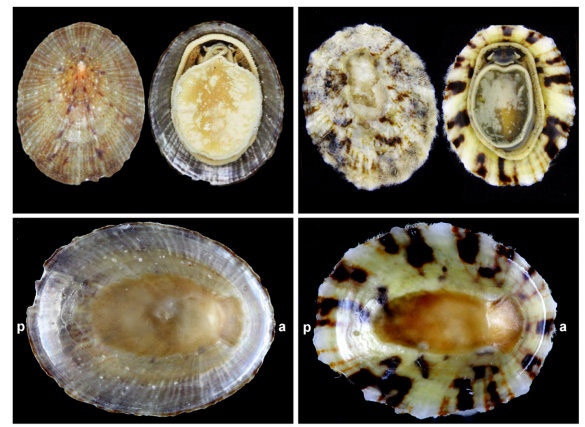 Identification of limpets is often hampered by highly variable within-species shell morphologies and colour patterns. Since pre-Linnean times this has produced complex taxonomies with confusing nomenclatorial histories and uncertain distribution patterns. 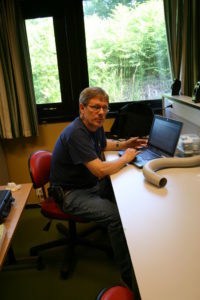 This is the case for a complex of taxa associated with Cymbula safiana (Lamarck, 1819) and with the rejected name Patella nigra. 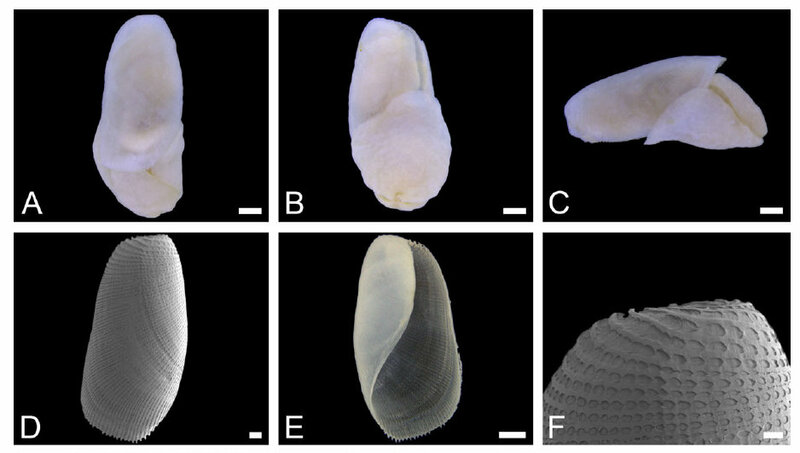 We DNA sequenced limpets from Nigeria that were originally identified as C. safiana. 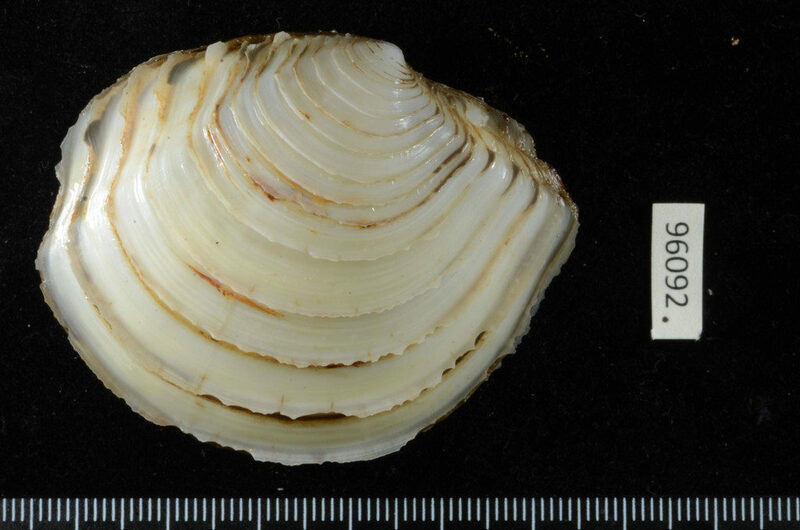 Comparisons with available cox1 data of patellogastropods show that the specimens actually belong to the genus Cellana Adams, 1869 which has been recorded only once before in the Atlantic Ocean with the finding of specimens from Ghana. Because Cellana is a possible candidate of invasive species in West Africa and Cymbula is considered as endangered, is seems particularly important to be able to distinguish between the two without being dependent on DNA analysis. 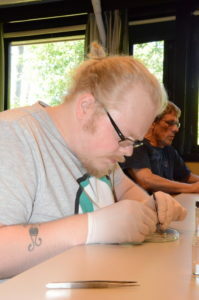 When shell morphology seems to be of questionable diagnostic value, examination of the radula will help in future mapping and monitoring of these two species. A cox1 gene tree with Nigerian sequences is in line with findings of previous authors and restates the need for taxonomic revision of the species clustering with Cellana toreuma (Reeve, 1854) and parts of a polyphyletic Cellana radiata von Born, 1778.